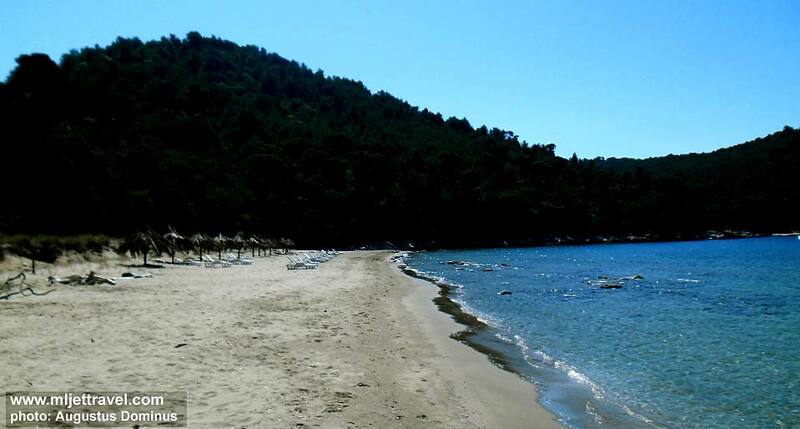 There are numerous small pebble beaches and swimming spots around Mljet island, located in various bays along the Island’s coastline as well as on the shores of Small and Large Lakes in the inner area of the Island which is part of the National Park. However, the only sandy beaches on the Island is Saplunara. 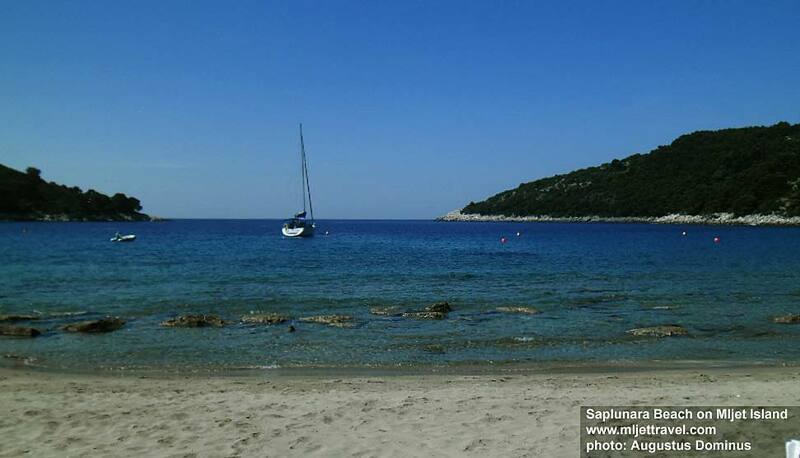 Saplunara Beach on Mljet Island in located at the southeastern horn of the Island in the larger and smaller bay that consist of three beaches – Vela Saplunara, Mala Saplunara and Blaca. The whole area is surrounded by pine trees and other woodlands. Very quiet and undisturbed, these beaches are fantastic places to spend some time enjoying the sea, sand and peaceful nature. The landscape around here is pretty untouched, protected by law as a protected nature park. 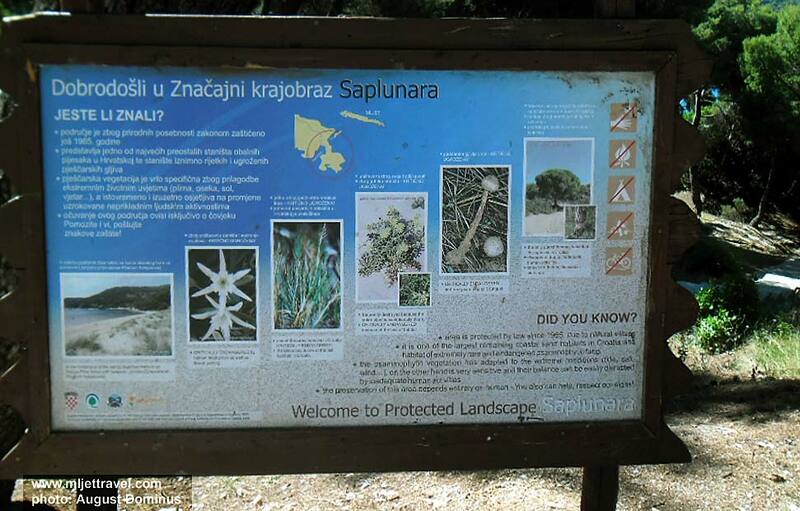 Protected landscape sign at the beach on Mljet: Pinjevac, Blaca and Velika and Mala Saplunara and coastline around this area is a habitat of some rare and endangered plants such as psamophytes, Elymus farctus, Echinophora spinosa and others. This area is under protection since the mid-1960s as some kind of botanical reserve. Situated on the southern shore of Mljet Island, Sutmiholjska is a tiny, deep bay that features lovely pebble beach suitable for children and families. The beach is situated outside the National Park, between villages Ropa and Babino Polje. 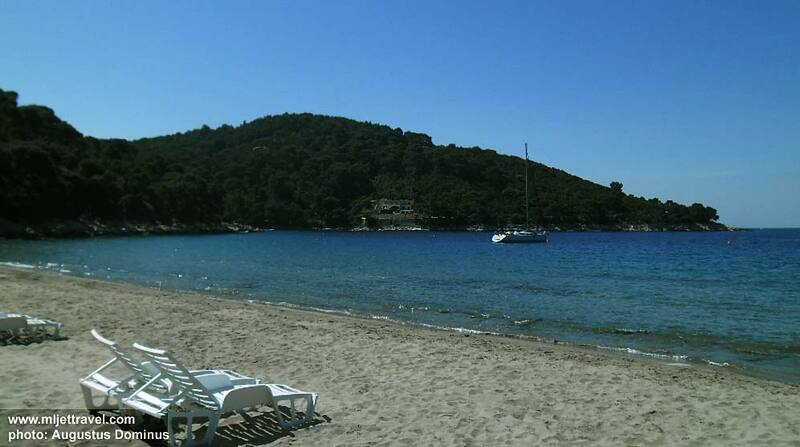 Nice video of beaches around Mljet.